Stark black engulfs the upper and portions of the midsole with bold punches of the signature green hue landing on the front portion of the outsole, while also creatively mimicking slime spotted dripping off the side Swoosh while spilling down onto the rear midsole area. 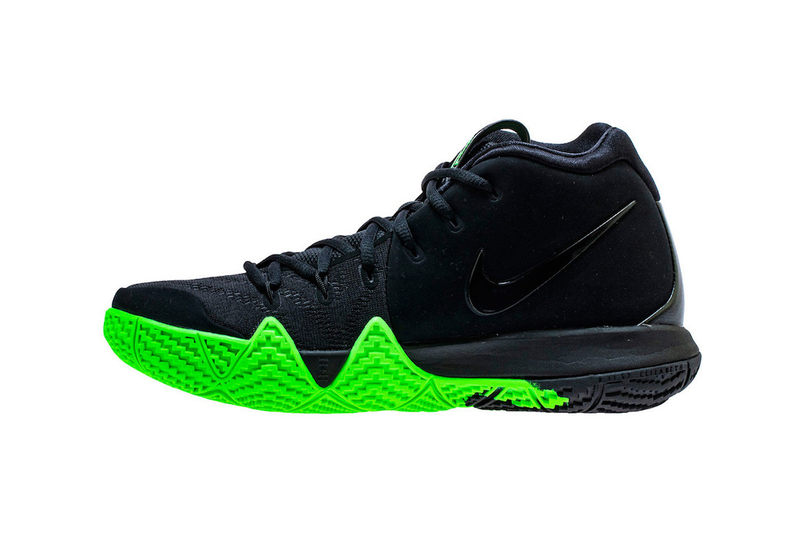 Set to a retail price of $120 USD, you can look for this Halloween-themed Kyrie 4 at Nike’s online shop starting October 13. In other sneaker news, the adidas by Raf Simons Fall/Winter 2018 range sees colorful reworks to the Ozweego & Stan Smith.